For what ages or grades are the BigBooks intended? What is covered in BB1? How long does it take to complete BB1 and BB2? What we do after BB1? How much time should we spend studying? Is there an audio portion? What’s the difference between Classical and Ecclesiastical pronunciation? We’ve already done Roman history; can we skip it? I don’t know Latin. Will I be able to help my child do this? Is it whole to parts or parts to whole program? Can I print it in black and white? Is there a different pricing for co-ops? Does it have a religious bias? Can this be purchased by charter schools? What do we study after completing both BigBooks? For what ages or grades are the BigBooks intended? 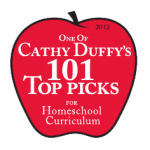 The BigBook of LivelyLatin, Volume 1, is geared for kids roughly between 3rd and 6th grades. That said, younger students have used this successfully with more parental assistance and older students have used it more independently as an appealing beginning to their Latin study. The BigBook of LivelyLatin, Volume 2, is used most successfully by students in 5th grade and up. They’re big—approximately 420 pages in BB1 and 677 pages in BB2, filled with language lessons and exercises, English derivatives, Roman history and culture, geography, art study, character study, puzzles, activities, and fun! 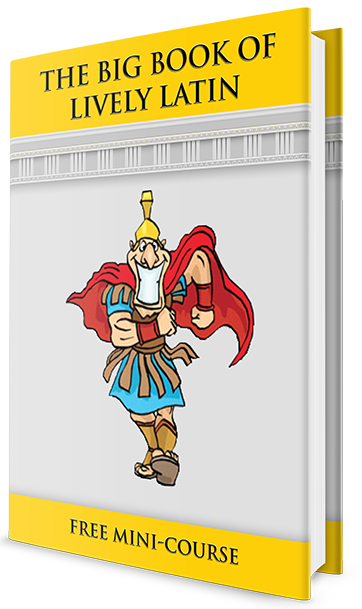 BigBook 1 covers all the elements of a first year elementary Latin program in a systematic, thorough, yet fun way. These elements include: 1st and 2nd declension Latin nouns in their cases and genders, the use of the nominative and ablative cases; 1st conjugation verbs in the present, imperfect, and future tenses; the irregular to be verb in 3 tenses; 1st and 2nd declension adjectives; sentence diagramming; 175 Latin words with the many English derivatives which come from them. We also cover Roman history from Romulus’ founding of the city in 753 BC to the end of the 3rd Punic War in 146 BC, complete with maps, paintings, review puzzles and activities. How long does it take to complete BB1 and BB2? It takes a year, on average to complete the BigBook. Of course, younger students or those with less time to study can take longer. Older students or those who study Latin more frequently will finish before the year’s up. Plan on at least 1.5 -2 years to complete BB2, especially if students are on the younger side. You can then go on to BigBook 2. It picks up where BB1 leaves off in the same lively style. BigBook 2 covers Declensions 2-5 of Latin nouns along with uses of all the rest of the cases; Conjugations 2-4 of Verbs and all verbs in their 6 tenses (present, imperfect, future, perfect, pluperfect, and future perfect); personal pronouns; adverbs; the complementary infinitive. About 350 new vocabulary words are presented with numerous English derivatives. Roman history from the Gracchi to the end of the Empire in 475 AD is covered. Completing BB1 and BB2 is roughly equivalent to 1 year of high school Latin. Minimum study time is 20 minutes twice a week; even better is 20-30 minutes 3 times per week. Students make more progress if Latin is taken in small bites more frequently rather than large chunks once a week. Every study session should start with 2-3 minutes (No more! Burnout may occur.) of reciting chants and/or working with flashcards. the vocabulary mp3 audio files with both pronunciations. These files can be downloaded to an mp3 player to listen to on the go. Classical is the pronunciation which scholars think the Romans used. Today it is what is taught in secular colleges and universities. Ecclesiastical pronunciation evolved in the Middle Ages and is used by the Catholic Church. You can choose to listen to either type of pronunciation online or on the CD set. Yes, you may print out or consult the answer key in the virtual classroom online, or from the data disc in the CD set. The BB1 and 2 virtual classrooms are your access points to download the PDF lessons, consult the answer key, listen to the pronunciation guides, play online vocabulary games, and view other resources. They are passcoded so you will need the enrollment key given to you upon purchase of the BigBooks. Once you purchase, your access will never expire. It is a comprehensive, systematic Latin language and Roman history program which consists of kid-friendly, varied, and visually vibrant lessons and exercises. Students and parents alike testify that it’s fun, engaging, and they learn a lot! What more could you ask for in a program? Of course. You can just use the Latin grammar and English vocabulary-building exercises which makes up 2/3 of the books. Yes, I’ve written the lessons so that an upper elementary student could teach him- or herself independently. The sixteen lessons in the BigBooks are each subdivided into 3-5 mini-lessons. The mini-lessons give a manageable bite of new information. The student then practices the new skill with an exercise on that same page. Then follows a page or two of varied exercises which reinforce that skill along with others learned previously. So students (and parents) build up a body of knowledge and skill little by little with plenty of practice and reinforcement. Interspersed among the lessons and exercises are the history stories and activities, art study, character study, English vocabulary building, etc. The BigBooks are a parts to whole program, meaning they starts with the fundamentals and build up from there to a full understanding of the language. I prefer this approach as it teaches the patterns of the language so that students can take new words and fit them into the pattern to gain meaning. The whole to parts approach, on the other hand, forces students to memorize individual words and their meanings without the benefit of the pattern. Yes, from Romulus’ founding of the city in 753 BC, through the overthrow of the kings and the establishment of the Republic in 509 BC, clear to the end of the 3rd Punic War (BB1), and from then to the fall of the Roman Empire (BB2), the stories of famous and infamous Roman figures and deeds is presented. I’ve taken stories from two works in the public domain, The Famous Men of Rome and The Story of Rome, broken them into 1-3 page stories, and then added an activity at the end of each which will review or expand upon the major points in the stories so that students can fix them in their heads better. Of course, included are dozens of maps, battle plans, and famous pictures of the events. It costs me about $20 for the paper and ink to print the book in color on my home printer. Your cost, of course, will vary depending on the cost of your ink cartridges. Can I print it in black and white? Though it’s not quite as inviting, you can print about 90% of the book in black and white. You should look ahead to each lesson, though, as you will want to print the art pictures in color. I am willing to work with co-op leaders on a pricing arrangement that’s beneficial for all. Contact me directly at livelylatin@livelylatin.com. Does it have a religious bias? Though I have my own religious beliefs, I have written the BigBooks from a secular point of view so that many different groups can feel comfortable using it. Also, families involved in public charter schools can use their funds for purchase of the BigBook. Yes, I accept purchase orders and am willing to become a vendor to charter schools. If you’re okay with religion (Catholic Christian) mixed with Latin, you can do Henle's First Year Latin. If your student has retained much of what of was presented in BBs 1 & 2, s/he can do Lesson 8 on third declension adjectives (Unit 2) and then skip to start at Unit 5. Another option is Latin Via Ovid, a high school text based around mythology, without the Christian religious element. It moves fairly fast so your student might want to start at the beginning for a brief review of previous learning. Then Wheelock's Latin is always an option. It's a college text but they've recently been adding lots of helps (workbook, readers, online aids) that makes it easier to learn with (since I was in college! ).